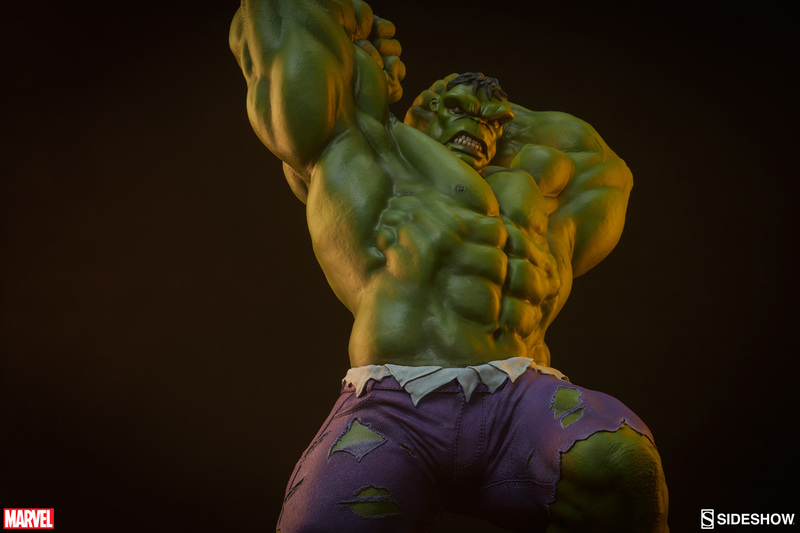 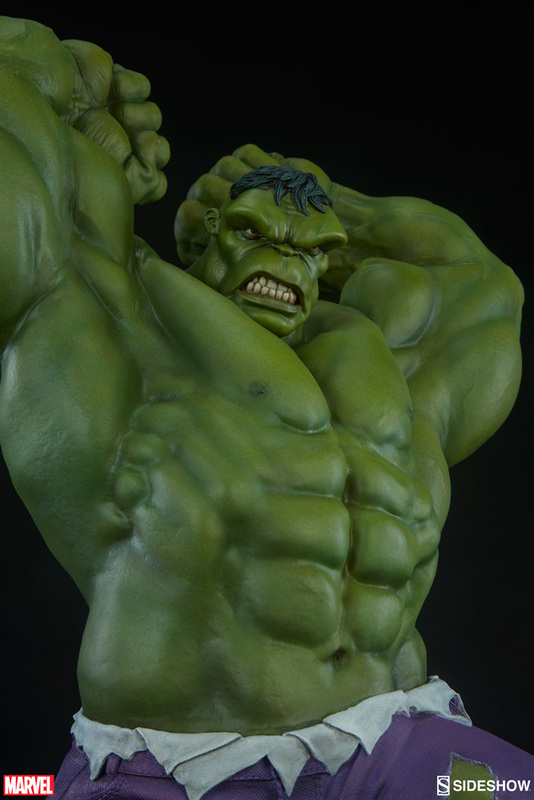 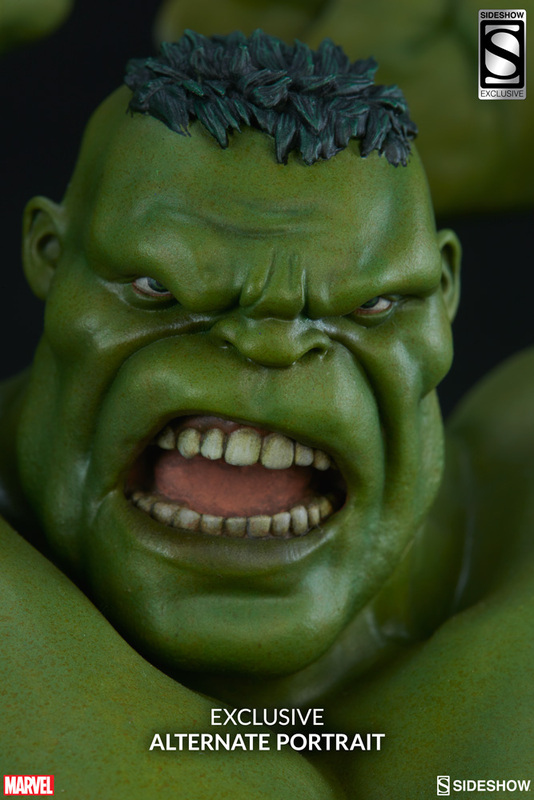 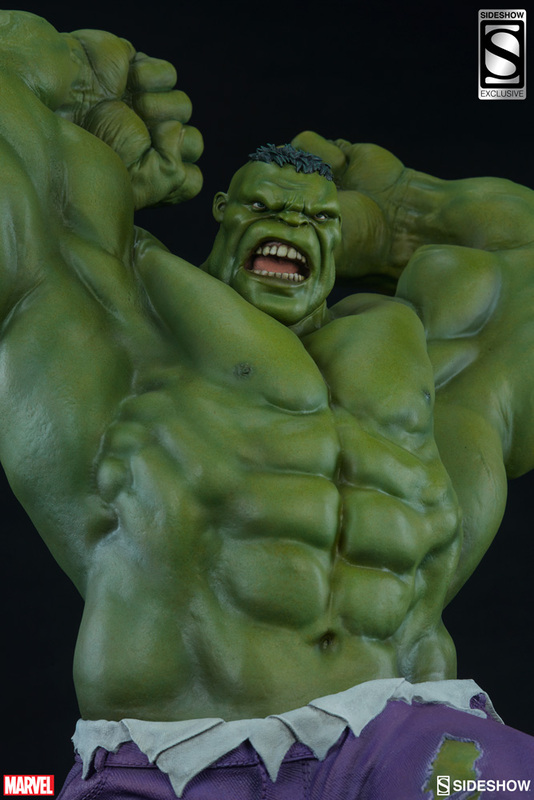 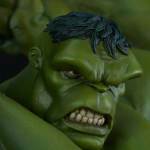 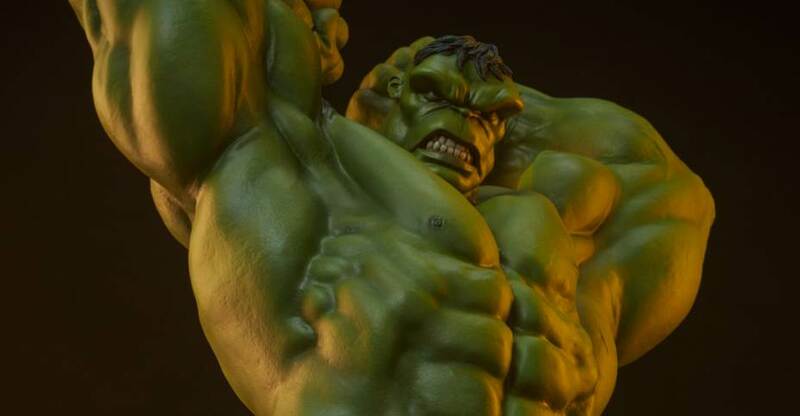 Pre-orders are now open for the new Hulk Statue from Sideshow Collectibles. 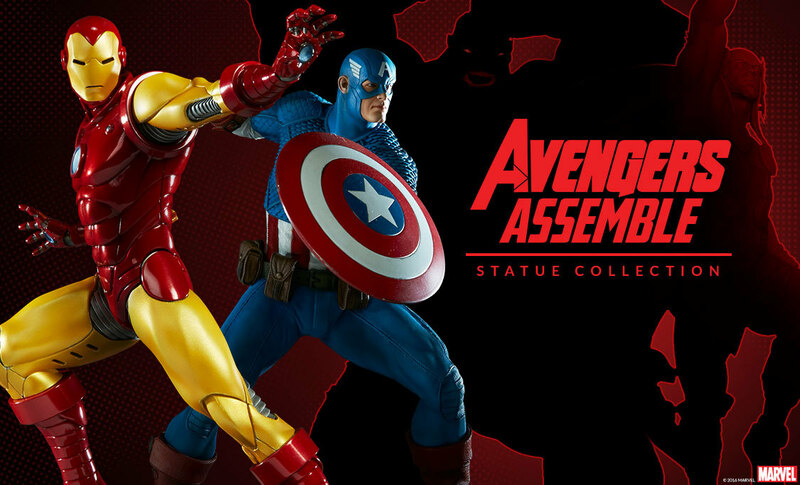 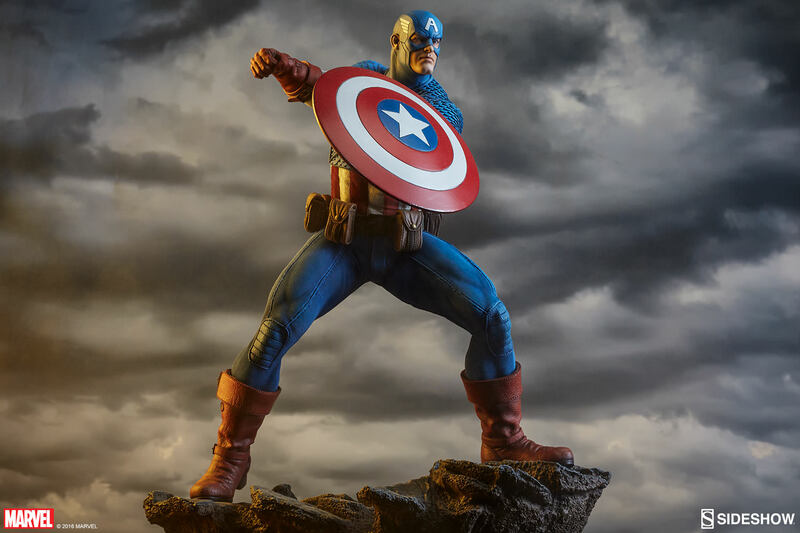 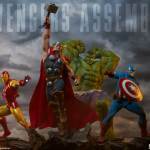 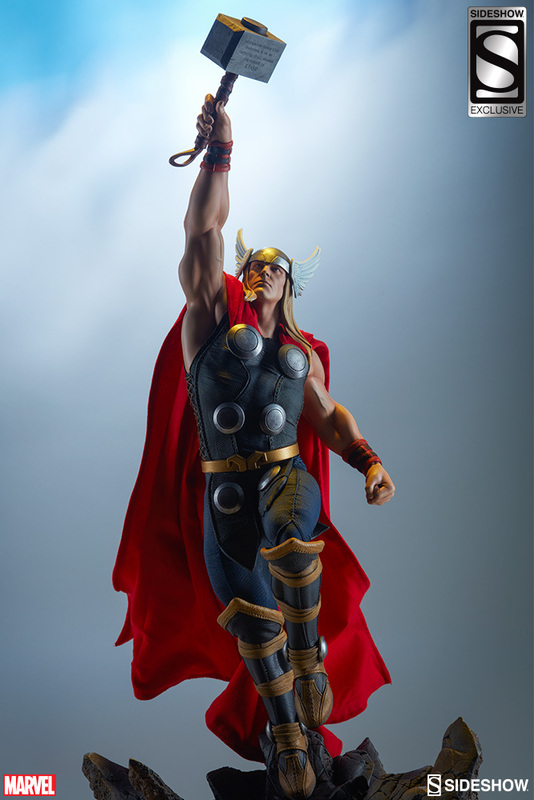 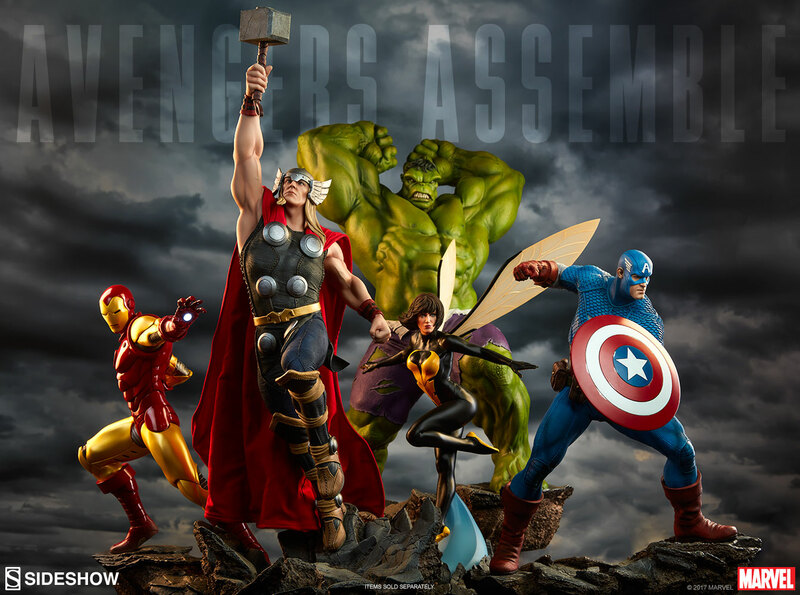 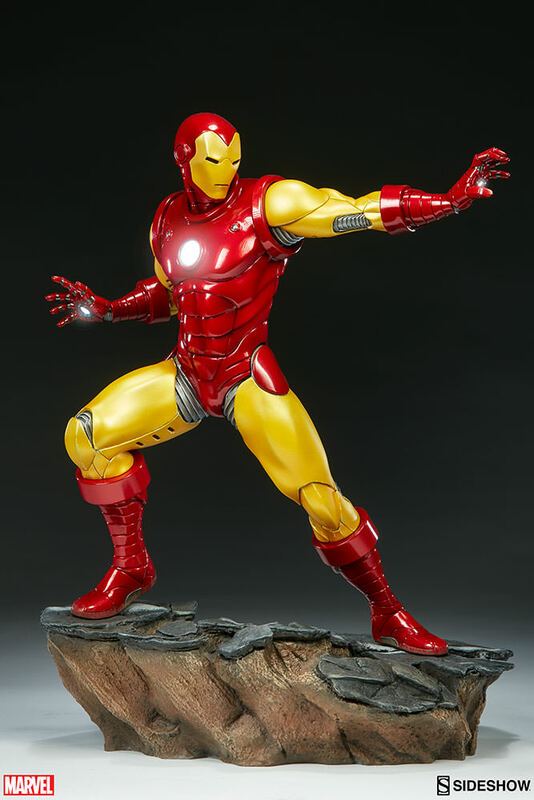 The statue is part of their Avengers Assemble 1/5 scale statue collection. 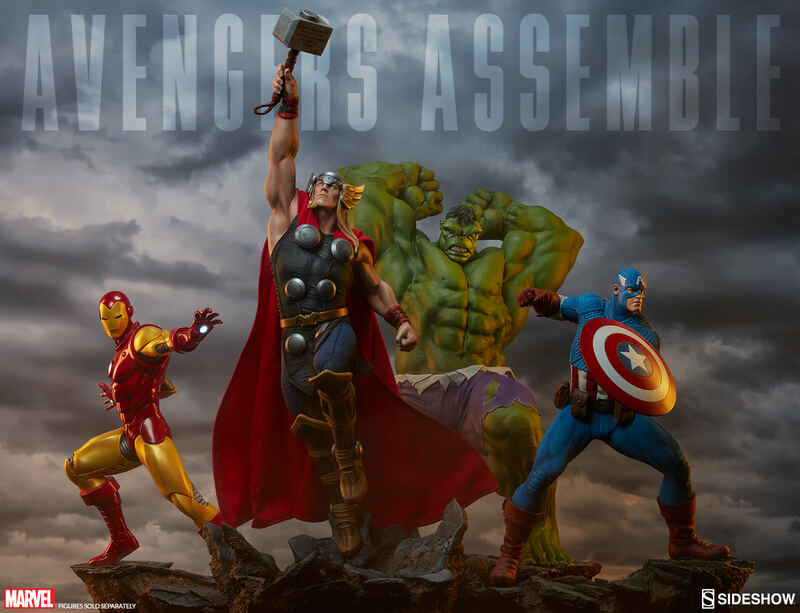 The line up also includes Iron Man, Captain America, and Thor. 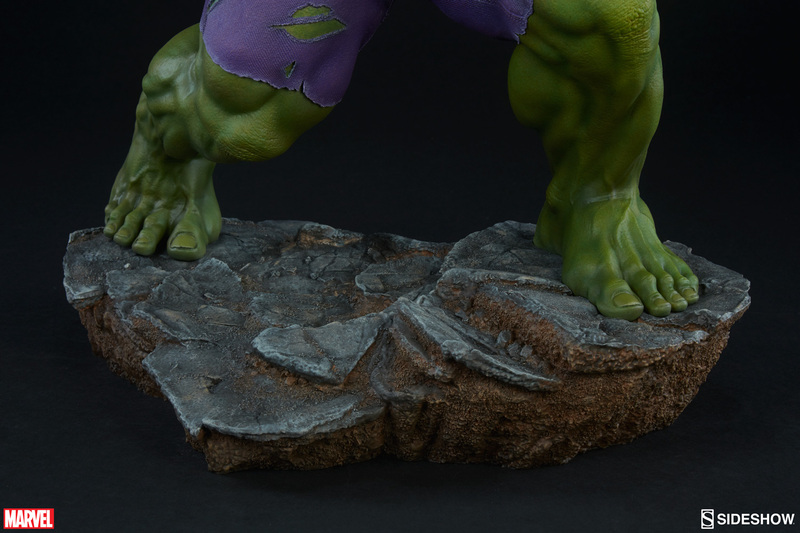 The statue stands at 24″ tall with a themed statue base. 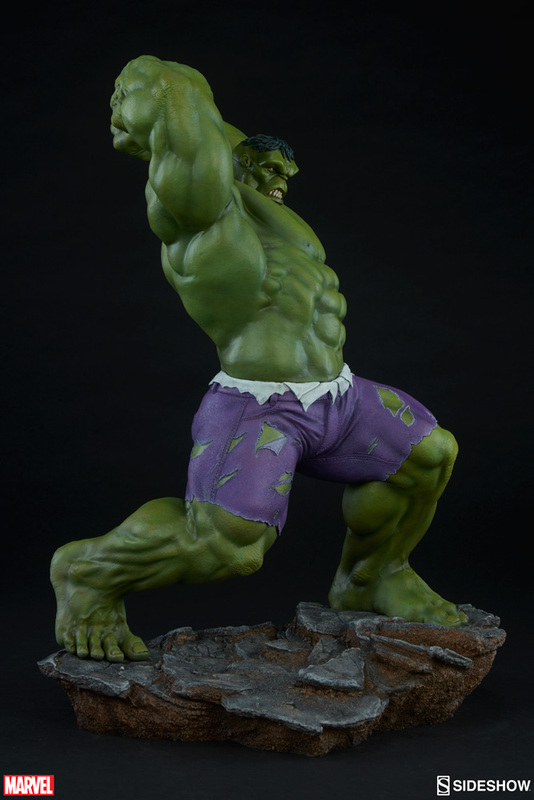 The Hulk Statue is priced at $595 with a release between April 2018 and June 2018. 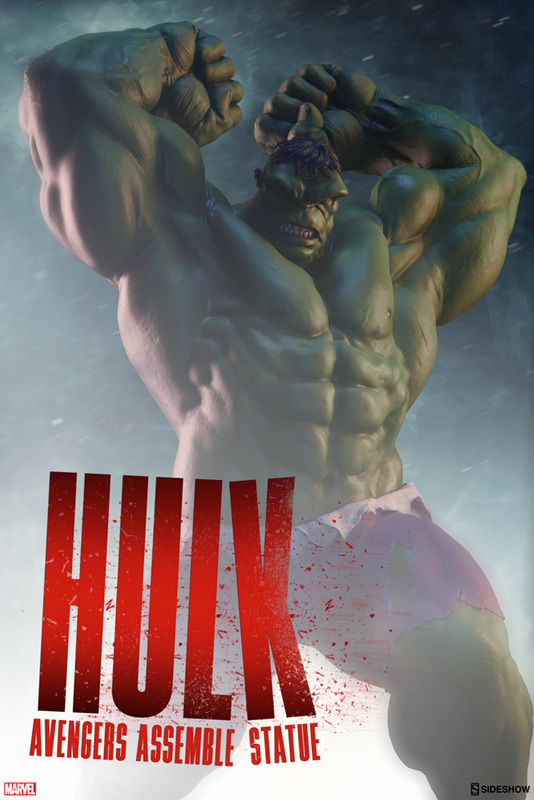 You can pre-order Here. 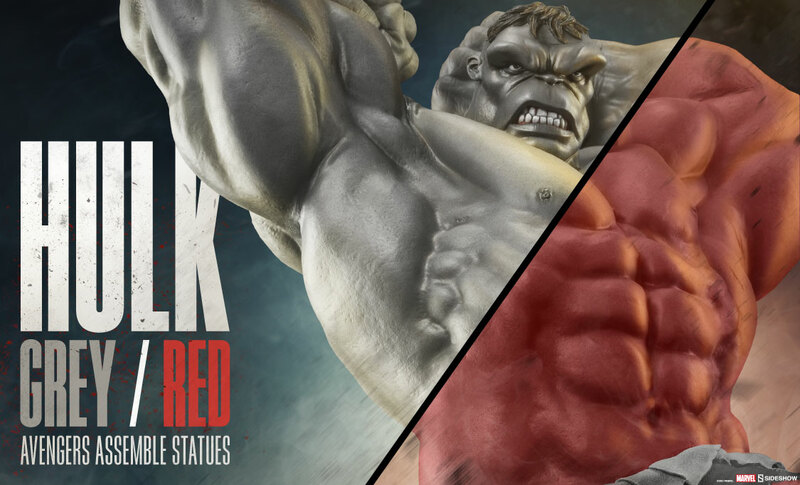 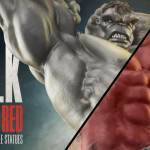 They also revealed that they will be doing a Red Hulk and a Grey Hulk variant of the statue. 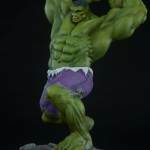 See details on the green Hulk below and read on for the photos. 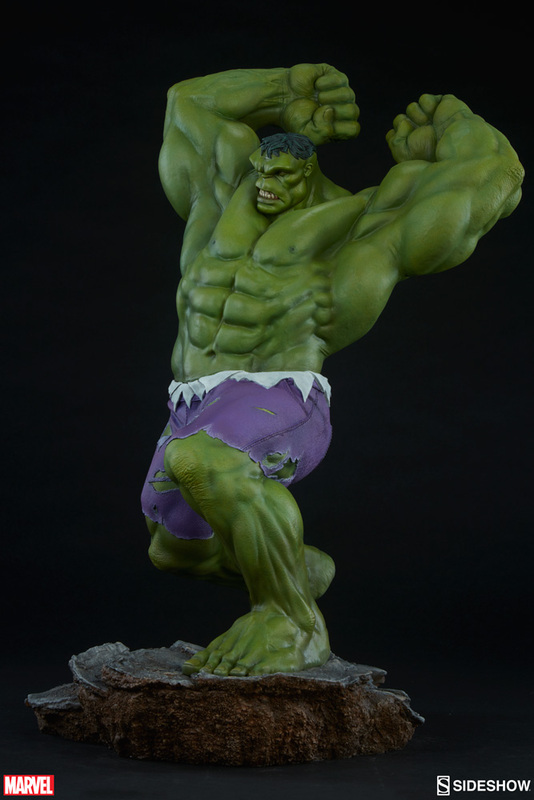 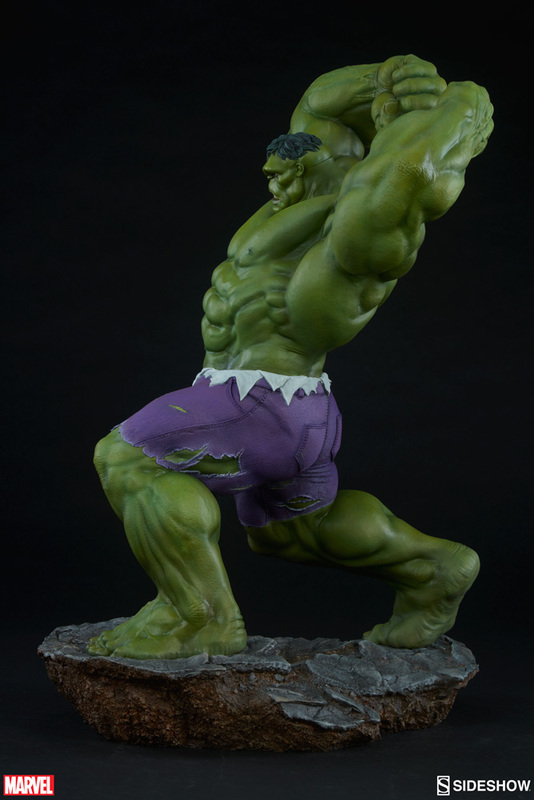 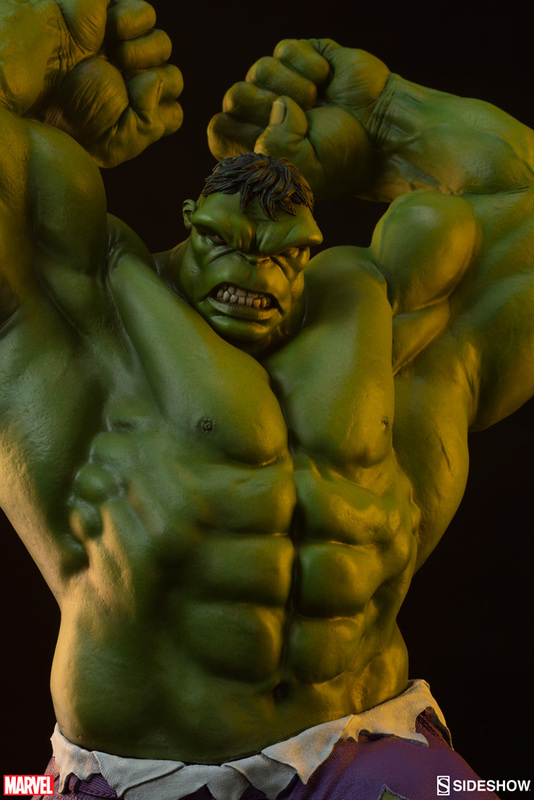 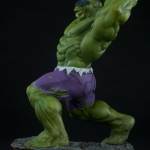 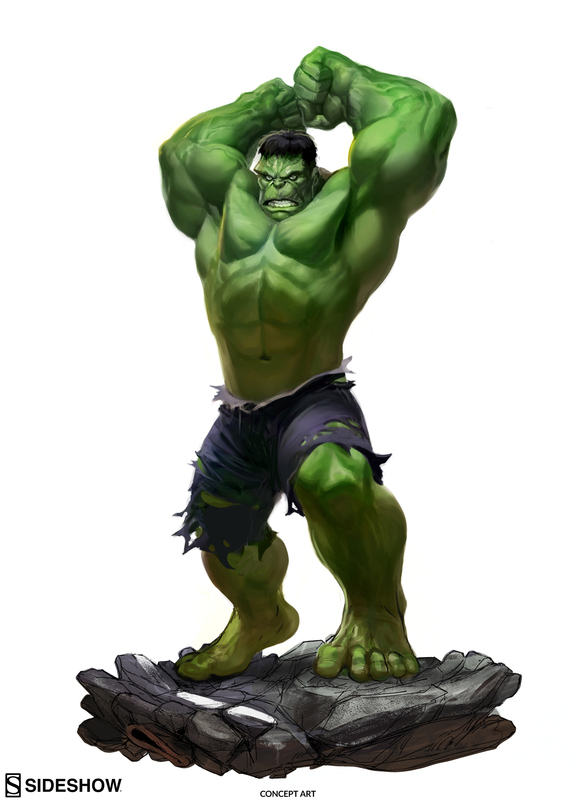 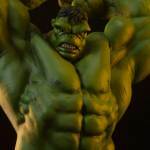 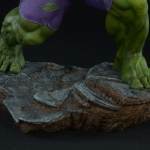 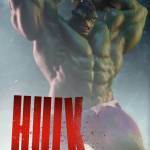 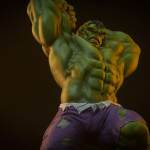 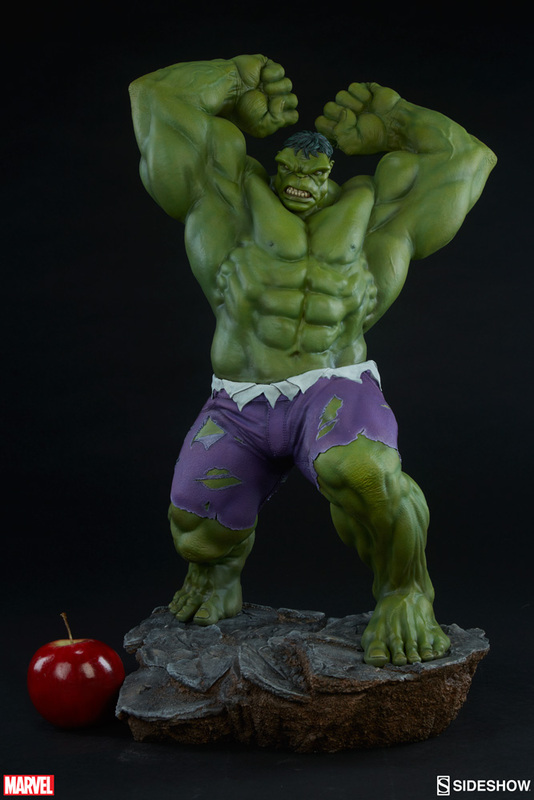 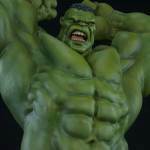 The Hulk stands at 24” of pure gamma energy, crafted with massive amounts of detail in every inch of this huge hero. 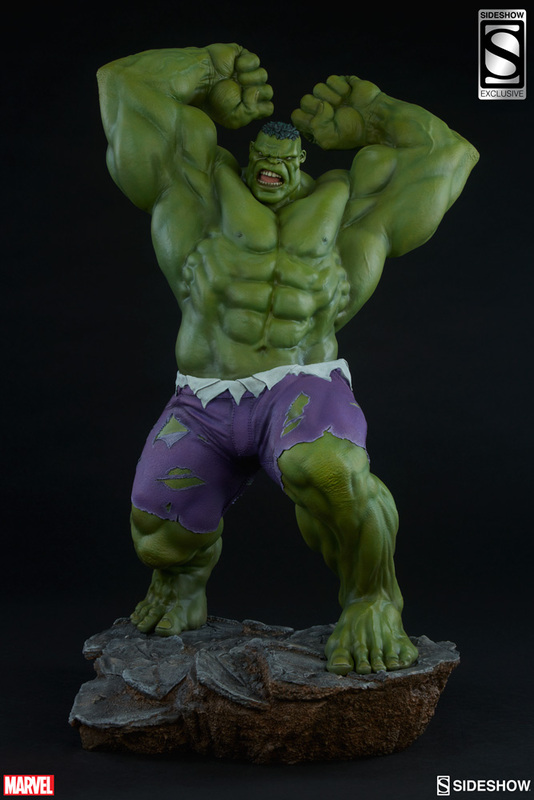 Ready to bash his puny foes, he is posed with his fists raised high and his torso turned to capture the dynamic motion of his signature Hulk SMASH! 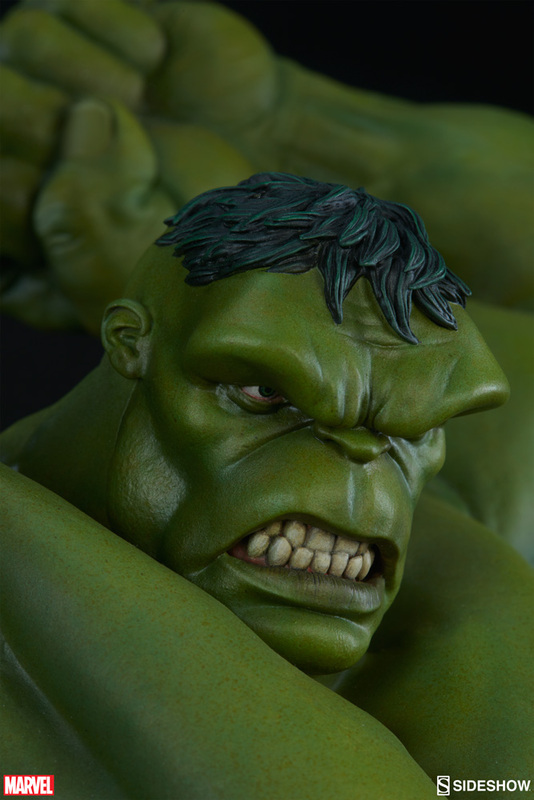 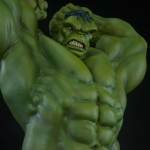 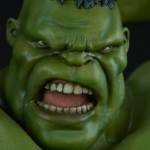 The Hulk’s grimacing portrait features a large brow and shaggy hair, reminiscent of his early appearances in the comics. 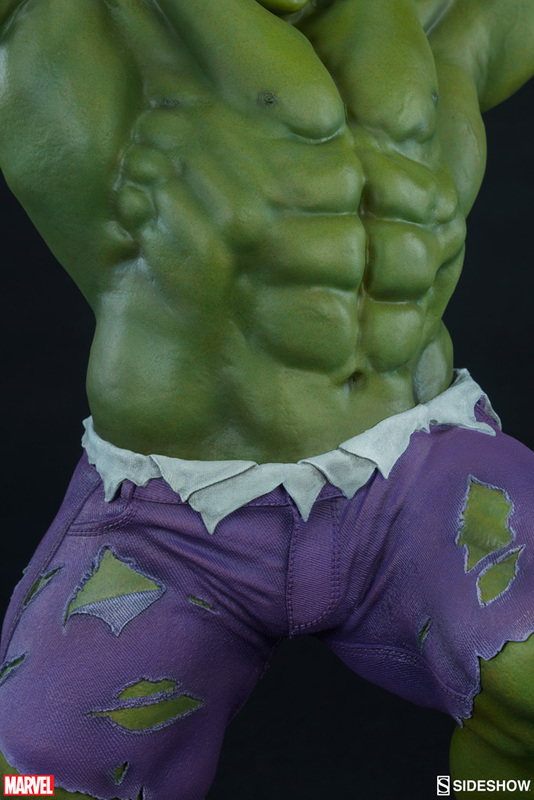 Hulk’s great green body has been sculpted with incredible musculature, and even has lifelike skin textures on his elbows and knees. 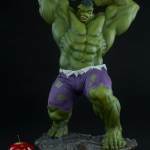 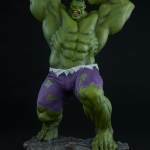 His signature purple pants are intricately sculpted with a detailed, realistic fabric-like appearance as if they are actually tearing as a result of Bruce Banner’s monstrous transformation.